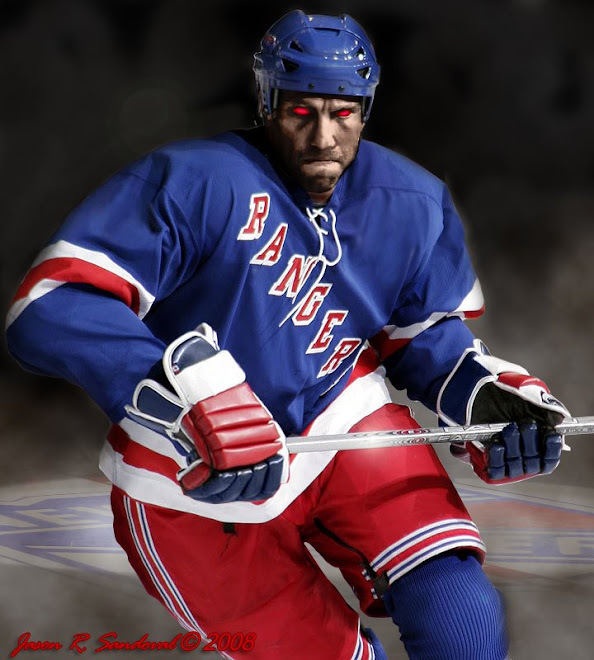 The Dark Ranger: Marc Staal Knows When To Prevent An Offense! Marc Staal was not among the fourteen family members and friends who were arrested for harrassing motorists at the side of the highway at 4:00 AM Saturday morning -- the Cook County sherriff's office just read the names of five Staal family members from the list of those detained, and Marc was not one of them (nor was Jarred). See news reports in the Raleigh News-Observer and Pittsburgh Post-Gazette. According the a press release from the Cook County Sherriff's office, the party at the Lusten Resort was warned prior to 1:00 AM about loud screaming and loud music after numerous complaints were lodged. At 3:00 AM, after repeated warnings, representatives of three law enforcement agencies helped resort staff shut down the Staal party and remove all participants from the property. At 4:00 AM, the group was arrested at the side of the road for disorderly conduct and obstructing the legal process. Some members of the group fled into the woods and were therefore not detained with the others -- we have no way of knowing at this time whether Marc was among this group, or if he was even at the party at all. Jordan was among four detainees released after booking -- the other ten, including Eric, were held overnight." THE DARK RANGER thinks: First there was Jordan "Paris" Staal, then there was, Eric "Britney" Staal, and then there was Marc "Lohan" Staal. 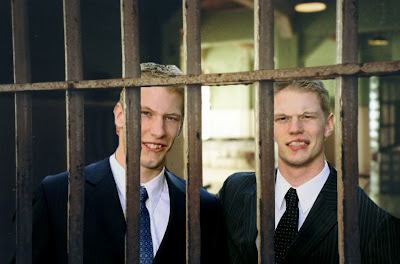 Setting a better example over his siblings was Marc "Ranger" Staal, who stayed at home like a good boy and went to training camp to become a Ranger. In truth, he will make the cuts during training camp and be one of the surprises on the "D" Blueshirt lines this season. I have seen clips of the kid play and he is a 'conservative but smart' player who isn't afraid to throw himself into a winger. Mr. & Mrs. Staal should consider having some more kids to feed us bloggers! We've all been there with the parties and the arrestings, at least the Staals weren't caught with 'blow' or hookers. Normal behavior for a family of millionaires under 25 years old. i 'second' the staal parents creating more excellent hockey players...maybe Bettman could get the NHL involved, which means he'd finally be doing something productive. Could Marc Staal be known as Marc "Mandy Moore"Staal. You know the teen-pop star who doesn't get into the party scene? You nailed it. Little nicer than Marc "Hilary Duff" Staal and slightly tougher than Marc "Tanya Harding" Staal!